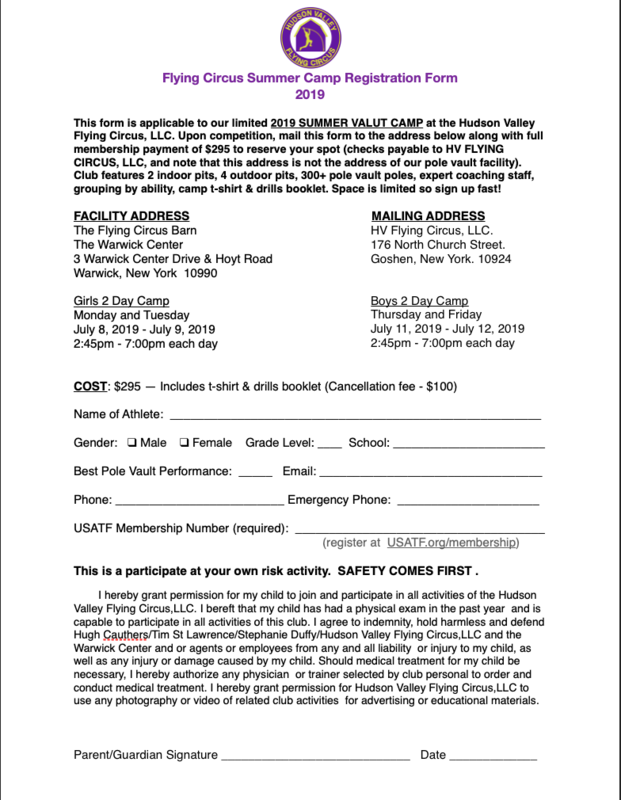 This form is application to our limited 2019 2 Day Summer Pole Vault Camp at the Hudson Valley Flying Circus,LLC. 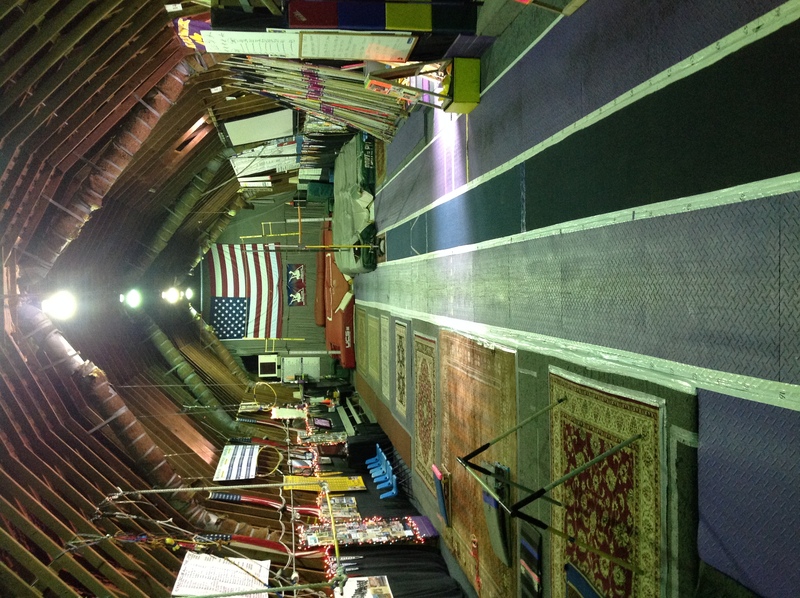 Upon completion,mail this form to the address below,along with full membership payment of $295 to reserve your spot(Checks payable to HV FLYING CIRCUS,LLC, and note that this address is not the address of our pole vault facility. Camp features 2 Indoor Pits, 4-Outdoor Pits ,300+ vaulting poles,expert coaching staff,group ability instruction,Camp T-Shirt and Drills Booklet. Space is limited…Register Fast Again this year!